Corporate or Commercial Zones, Next Best Condo Investment in Bangkok? We have classified Bangkok city into several behavioral zones. For each zone, we bring about its most suitable projects on the market. Based on those behaviors we provide a product that has always a high demand available in the market. A demand that can last longer than all other projects in the whole city. And this is actually the main reason why our relationship with our investors is growing stronger and stronger each day. Behavioral trends show that people are earning in corporate zones of Bangkok like Rama 9, Paholyothin and Ratchada. But they are spending more on commercial zones like Sukhumvit road. Now, these are the trends that divide people with different tastes and different choices. Some people want to stay near their workplaces to avoid distressful morning and evening traffic. Some people prefer to stay near alternative sources of public transport for their ease during rush hours. For instance, they would prefer to live near BTS, MRT or Airport link. But on the other hand, there are some people who are freelancers, actors, models, artists, entrepreneurs, and tourists they don’t bother or panic much about traffic, they just want to stay near cool, chill entertainment and market places. We at Angel Real Estate cater to people having both of these behaviors. We have managed to bring on to the market many residential condominium projects in every possible prime location in Bangkok. On Sukhumvit Road, we have successfully sold the foreign quota of some of our projects. Namely, Skywalk at W-district, S.48 Siamese Sukhumvit at On Nut, Siamese S.42 near Gateway Ekkamai which is quite close to BTS Ekkamai & Thong Lor. In most cases, the great reputation of our developers determines the success of our projects. For example, The Room Condominium at the footsteps of BTS Phra Khanong and Bangkok thong-Lor Condominium at BTS thong lor are top of the list best sellers developed by Land & Houses PCL. Beside this, we have Rich nana next to Bumrungrad international hospital in walking distance to BTS Nana. One of the best possible investments for Arabs investors in Bangkok. 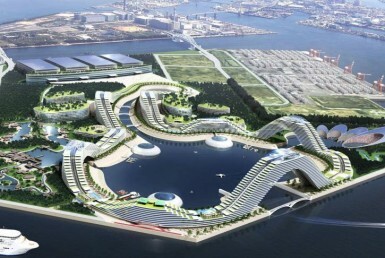 Richy Park developers are the developer of this project. On Ratchada, Vipha and Phaholyothin area we have just sold a foreign quota of Maestro 19 Vipha condominium. Now having successfully sold Maestro 19 we have signed a contract for Metroluxe Ratchada. Which is marked as a perfect refuge from the traffic conjuncture of three main avenues; Phaholyothin, Ratchada, and Viphawadi. A lot is going on in this area regarding infrastructural development, i.e. development of new railway lines. 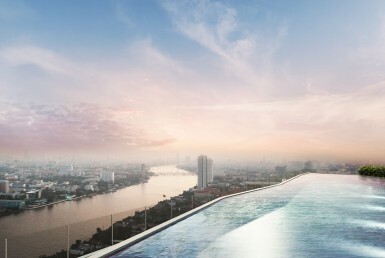 Besides Metroluxe Ratchada we are going to take over the foreign quota of the Knightsbridge Prime Ratchayuthin condo. It is the best condo investment opportunity located at the junction of Ratchada and Phaholyothin roads. Angel Real Estate is a property Consultancy Company. A guiding source for investors and home buyers in Bangkok and Chiangmai for the best and highest possible returns. Our secret to successful and profitable management of the property is our complete provision of solutions. We help finance our developers. Help them in marketing their projects and then through our partners we manage all those properties. We also help in the acquisition of bank loans and mortgage services for our clients. 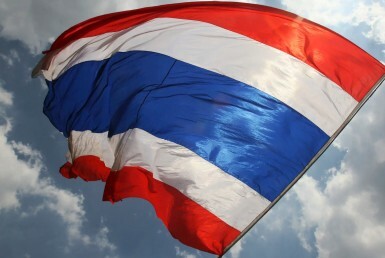 So we are very much aware of all the possible potential threats and opportunities in Thailand. For more information about any kind of condominium investment, feel free to contact us.